Well, today I tore it to bits...a necessary step to see what is what and to refinish as necessary. Jensens are a joy to work on...solid, simple and basically the same designs used throughout...though on a much bigger scale with this their largest engine. A surprise when I got the boiler and heaters disassembled. This is a bit earlier model than I thought upon receipt. 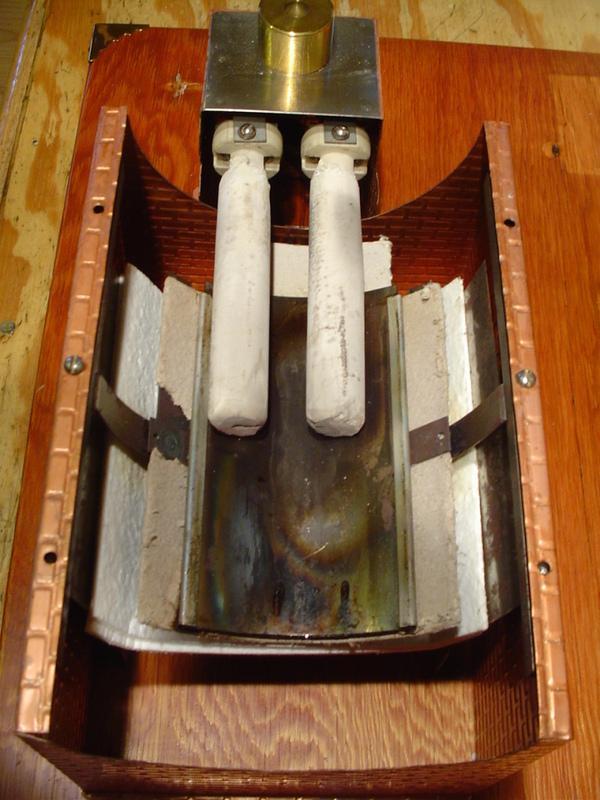 It uses a pair of water tight brass tubes inside the boiler into which two 400 watt ceramic heaters are inserted. 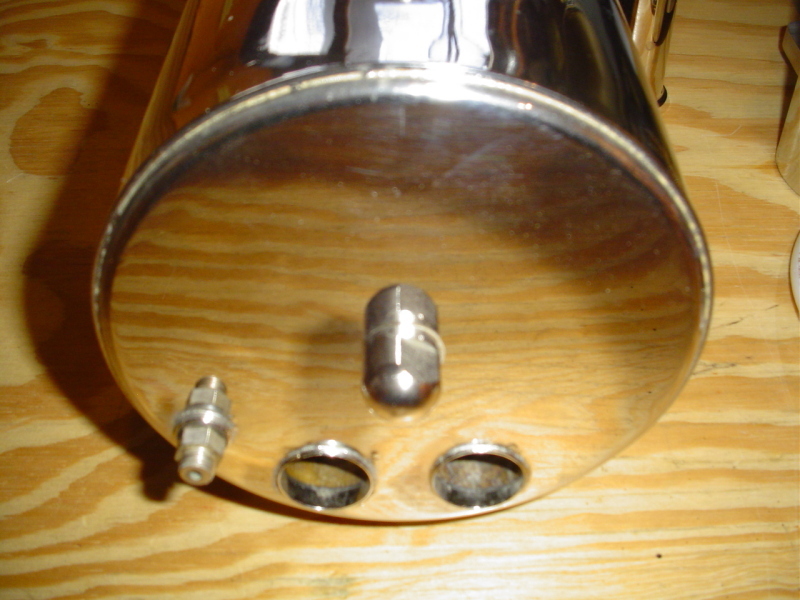 The dry tubes can be seen in the boiler end shot above (lowest two holes). 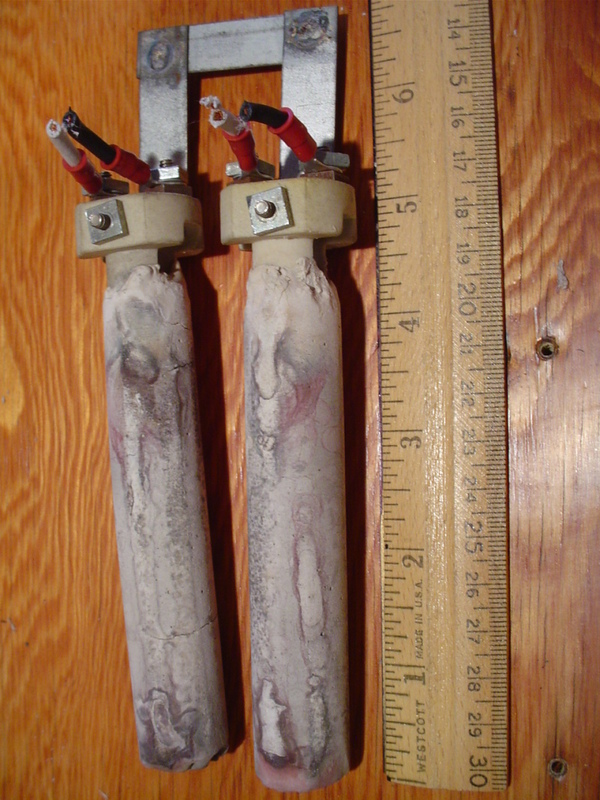 The ceramic heaters used are visible in the photo below. You can also see the supplemental 450 watt external blanket style heater laying beneath the ceramic heaters. The blanket heater lies snug beneath the boiler while the ceramic heaters insert inside yet remain dry. Though Jensen ID plate on this model 50 indicated 900 total watts, in reality it had 1250 watts based on actual watt meter checks on each of the three heaters. For maximum performance with a heavier generator load, boiler will be re-fit with two even hotter ceramic heaters (575 watts each) to pair up with the existing 450 watt blanket heater. 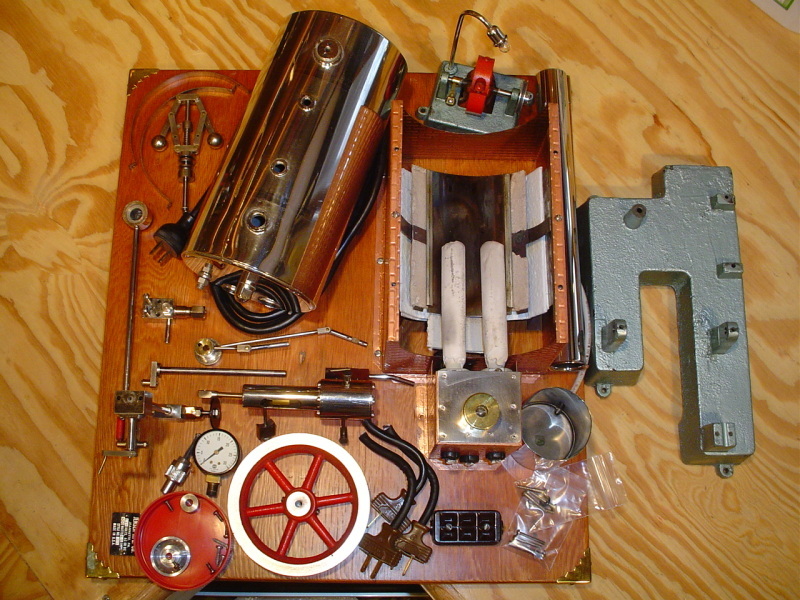 Total wattage of 1600 is similar to that in my replica. I use the full wattage to bring the boiler up to pressure quickly from a cold start, but switch off one heater once 25-30 PSI is reached...the two remaining heaters will maintain that pressure regardless of load. One of the 575 watt ceramic heaters will also be further controlled by a variable dimmer...enabling precise heat input if desired, a very nice feature not part of an original Jensen but highly valued by me as a user.